In an op-ed for the Richmond Times-Dispatch, Lt. Gov. 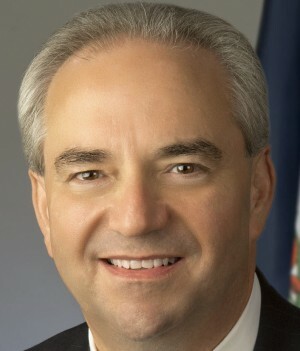 Bill Bolling expands on his Friday announcement his opposition to lifting the ban on uranium mining. I am concerned that removing the ban on uranium mining could have a chilling effect on the economic progress we are making in this important region of our state. The success of our ongoing job creation efforts is too great to take the risk of adding a uranium mining operation to the equation. I am concerned that there is no clear precedent for an active uranium mining and milling facility that operates in an area with as much rainfall and with the water table as close to the surface as is the case with the proposed mine in Southern Virginia. Finally, I am impressed by the fact that almost every member of the Southern Virginia delegation of the General Assembly is opposed to removing the ban on uranium mining and milling in Virginia. These legislators represent the people who would be most directly impacted by a uranium mining operation, and their agreement on an issue which is so important to their region makes a very powerful statement. Bolling said in his email announcing his withdrawal from the 2013 gubernatorial race that he would be “an independent voice.” This is, no doubt, the first of many such pronouncements from the LG, now unrestrained from having to run for election. Bolling’s announcement may well spell the end of lifting the ban. With a senate divided evenly between Republicans and Democrats, his tie-casting vote may be the decisive one. Or not. It could be that this announcement provides enough cover for other Republican opponents of lifting the ban to man up and vote the way they believe. Next Post Cox email? Really? That is very interesting, indeed. I was unaware of the water-table issue. Is the ban “permanent” (i.e., cannot be lifted except by passing a new law) or does it have a sunset provision? Also, is it possible for the U.S. government, acting under the guise of “interstate commerce,” able to lift the ban? It really isn’t a ban – although referred to as such – but rather a moratorium on mining until regulations can be devised, which the legislature put in place in 1982 when the uranium deposits were first found. The water table issue has been one of the biggest concerns, more so since it was raised in the report issued last year by the National Research Council. A link to the report is in this Wikipedia article.